At the end of March we had a very interesting walk from Sallins led by Liam Kenny, local historian, to the ‘Four Pots’ which is the only example in Ireland of a complex circular overflow device 200 years old. To read more about this unique overflow go online to ‘Helpful Engineer GC Overflow’, it is fascinating. 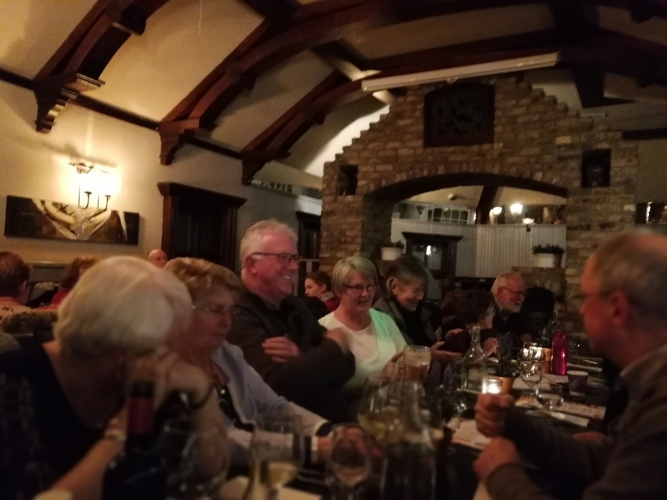 Later that evening we had our Annual Social organised by Niall O’Dowda. 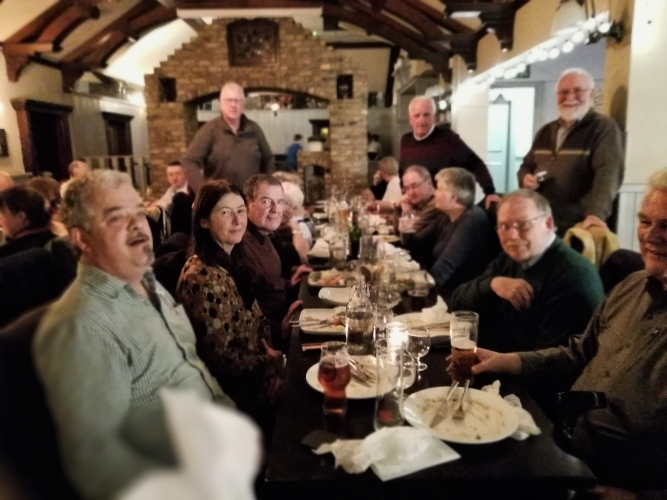 Forty of us gathered in the warmth of the 13th Lock Pub for a meal and a catch-up with boating friends after a long winter. © Marie Davis. For the later weekends in April, half a dozen boats from the Kildare Branch, headed for lock 12 to start the beginning of the Dublin Rally. 5th May – 27th May. 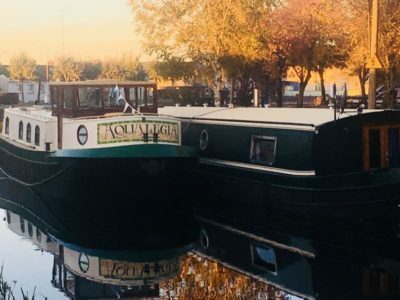 Colourful canal boats and a vibrant boating community made a very welcome return to Edenderry last week. The unseasonably warm weather, dramatic early sunsets and beautiful autumn colours almost felt like nature’s own rustic red carpet rolled out. The canal, which is a very popular route for walkers, joggers and strollers, looks great thanks to the work from the tid y towns committee and CE Scheme Workers. 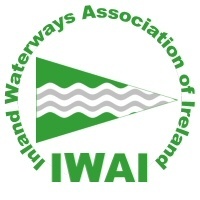 Edenderry Chamber of Commerce Chairperson, Christine Traynor and the Committee welcomed President of IWAI John Doran and Vice-President Alan Kelly and many of the Senior Boaters of the IWAI Offaly and Kildare Branches to Edenderry last Saturday, where they enjoyed local food and drinks in Larkins Bar & Lounge. 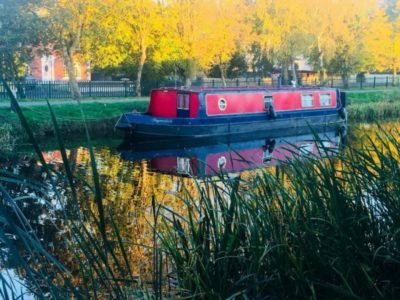 Edenderry was once a popular destination for boaters and the canal was a bustling local economy. The Boating Season runs from March to October, with Easter being a highlight and the boats return to their Winter-Moorings in November. Fáilte Ireland has allocated an initial €2 million investment to ‘Ireland’s Hidden Heartlands’ as its latest new tourism brand. 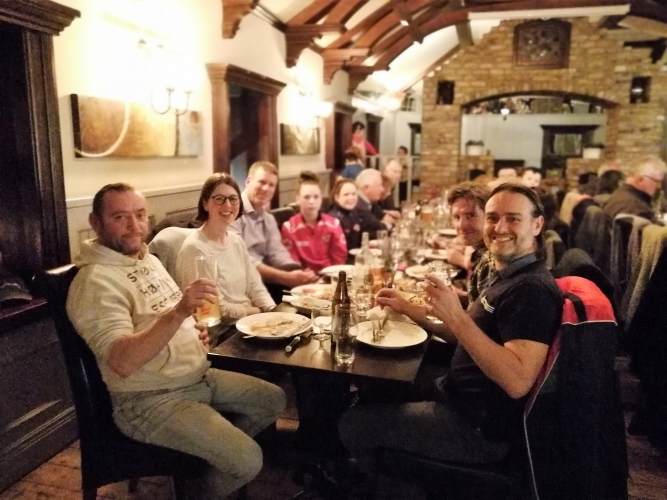 Edenderry Chamber of Commerce plans to maximise every opportunity to promote Edenderry as a Gateway to the Hidden Heartlands’. 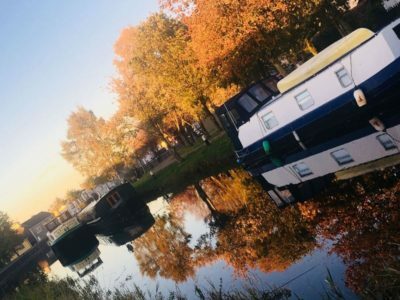 The boating community were so impressed with the welcome and services on offer in Edenderry that they are now planning an Easter Rally to Edenderry at the start of the boating calendar in 2019.